Villa Greta » All attractions » Around the village » We are in the Gault et Millau Yellow Guide! Villa Greta restaurant is the part of Gault&Millau [read: go e mijo] Yellow Guide since its first publication. Since 2016, we have “one chef’s hat”. We are proud this fact because it is a prestigious distinction which you have to earn. You cannot buy a place in this guide! 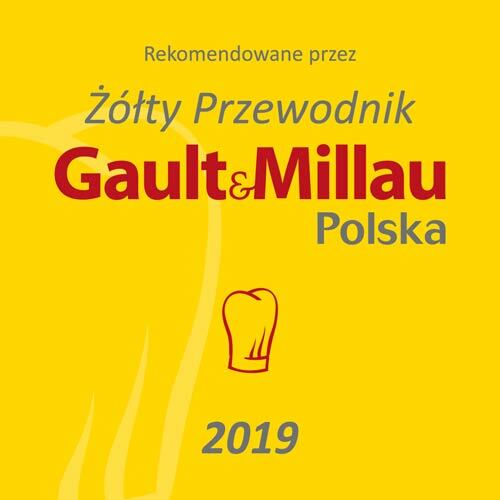 What is Gault et Millau Guide? 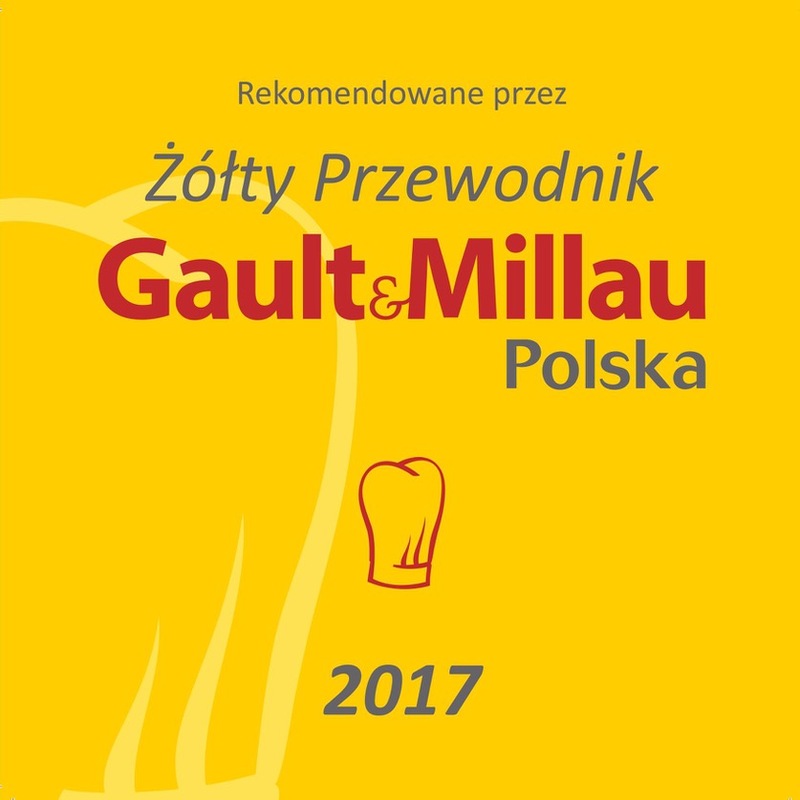 Gault&Millau Guide is the global source of information on where it is worth to eat. 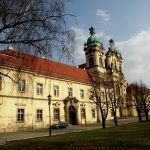 Every year, a team of over a dozen completely anonymous inspectors critically evaluate about a thousand of places in Poland. Less than a half is listed in the guide, these places are – as its authors guarantee – true gems of gastronomy. 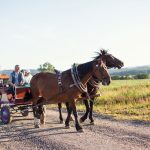 I guess, we owe our success to nettles, mint, potatoes, dill, cabbage … which we grow or which grow wildly around the house, quark, eggs, meat … from our neighbours and the heart of our employees, who do not complicate meals too much. It is the usual Polish village cuisine with some modifications in the direction of the Orient or the Mediterranean Sea. And groats! 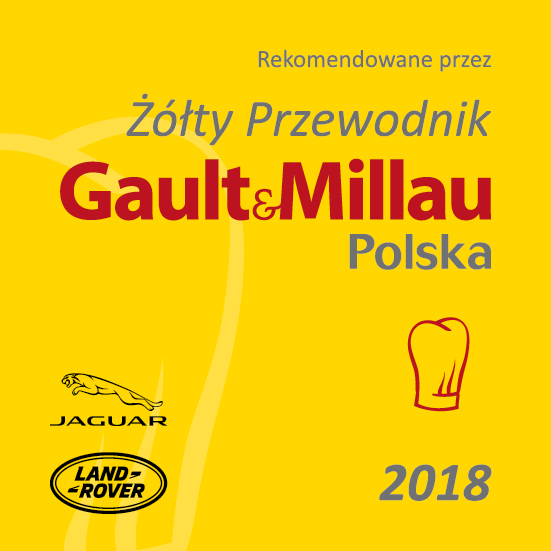 Which are not commonly prepared in Polish restaurants. And diets. Vegans, vegetarians, not eating gluten, lactose or dairy products will not leave Villa Greta hungry! 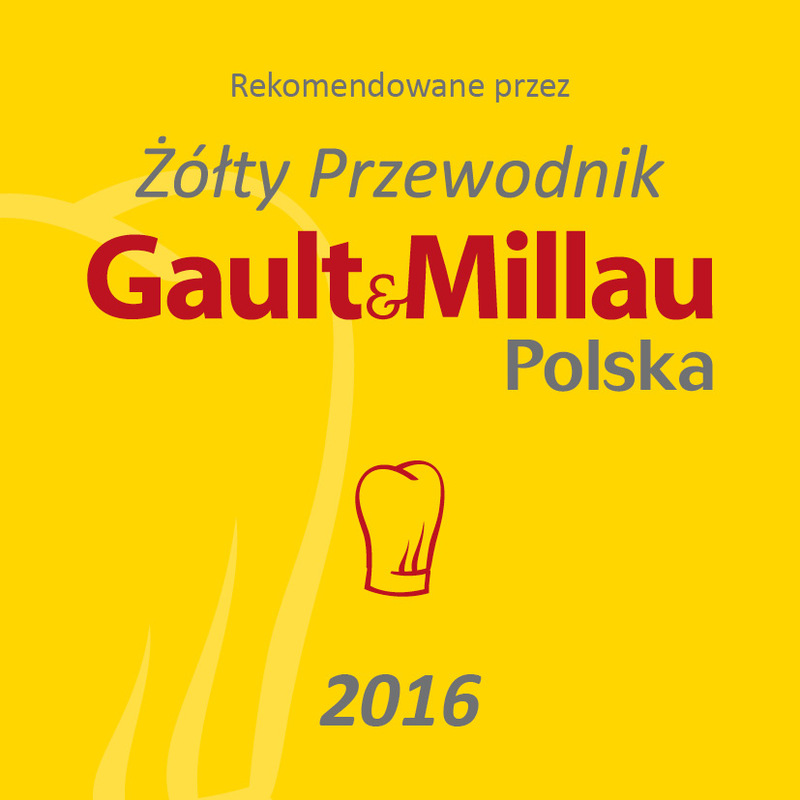 Gault et Millau 2016 Yellow guide.